From Argos to Zen, Compel Office Furniture has the seating solution you’re looking for. Featuring a comprehensive selection of task chairs for workstations and executive offices, all of our seating products are created with superior materials and components as part of our ongoing commitment to delivering unmatched quality and value. Our line of flexi-fabrics can make any chair look unique and fits any office environment. Our seating it versatile, functional, and you have a range of price points. 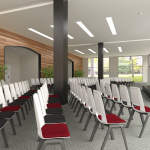 With our leasing program, we can provide you with seating for any budget, and any style. Be it our Mojo chair surrounding an executive conference table or our Konnekt stool for your lunch room, you can find everything you need in our extensive seating line. Dig through our catalog, and find exactly what you’re looking for! Office furniture seating can change the entire way your company and workers operate. 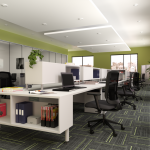 Comfort, style, and functionality are all critical components to a successful work environment. Compel Office Furniture Leasing has everything you need for your current office or for your new office location.